Get a fresh and glowing look on your face with DIY homemade masks for skin cooling! The sun is out in its full glory, the temperatures are soaring and this blistering heat is taking a toll on our bodies with our skin taking the worst beating. Tanned, sunburned skin with inflammatory issues is quite common in this tropical weather. So today we are sharing 7 homemade face masks for cooling off your skin this summer. 1. 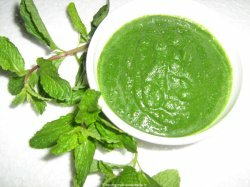 Mint pack: Take some fresh mint leaves and make a smooth paste with it. Now add a pinch of turmeric to it. Now apply this pack to a clean, washed face and let it sit for about 15 minutes. Wash with cold water to get a fresh, clean face. Mint contains menthol, that instantly gives your skin a cooling sensation and turmeric with its antiseptic properties helps heal any acne or inflammatory problems. 2. Aloe gel pack: Aloe Vera is truly a miracle plant and provides a variety of benefits to the skin. It not only soothes the skin but also treats pain and inflammation caused by sunburn during summers. 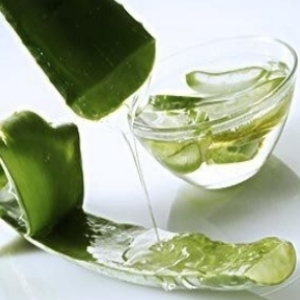 So extract fresh aloe vera from a juicy leaf and apply the gel to your face. Keep it on for about 15 minutes and then splash your face with cold water. It is recommended that you try this pack on your arm first because aloe vera gel could irritate sensitive skin. 3. 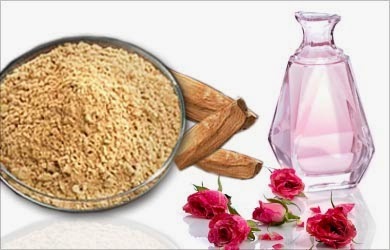 Sandalwood mask: Take some sandalwood powder and add some rose water to make a thin paste. Now apply this paste evenly on your face and neck. Let it dry and then wash with cold water. This pack is really effective and not only soothes sunburned skin, but also prevents pimples and cleanses the pores. 4. 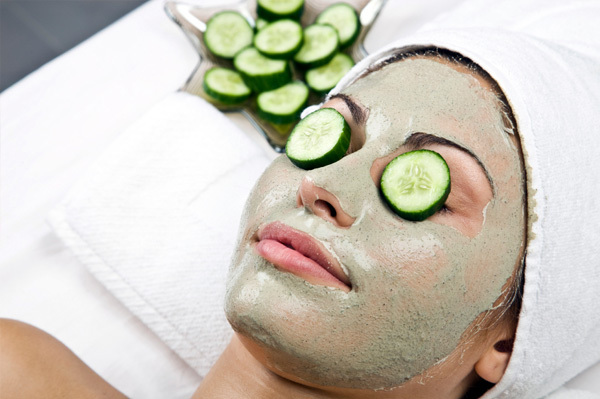 Cucumber face pack: Take a chilled cucumber, straight out of the refrigerator, slice it into pieces and grind them together to make a watery paste of it. Now apply this paste to your face. Leave it on for about 20-25 minutes and then rinse it off with cold water to get a cool, fresh and hydrated face.You could also make use of cucumber slices to relax your tired, burning eyes. 5. 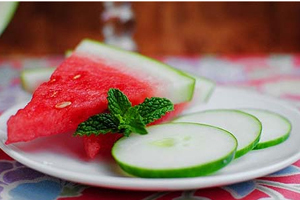 Watermelon and cucumber mask: Mix together, the pulp of watermelon and cucumber in equal quantities in a bowl. Apply this concoction to your face and let it rest for 20 minutes and then splash your face with cold water. Cucumber with its cooling attributes and watermelon being a water-rich fruit soothes sunburn, hydrates and de-tans the skin. 6. 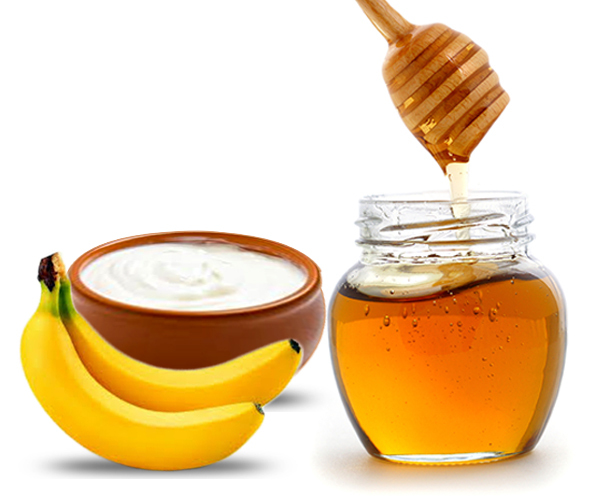 Banana yogurt mask: Mash a banana in a bowl and add 2 tbsp chilled yogurt and 1 tsp honey to it. Mix it well and apply to your face. Rinse it off when dry. This makes for an excellent mask wherein banana and honey helps the skin retain its elasticity and suppleness. Besides, yogurt removes dead skin cells while keeping the skin cool. 7. Rose water: Rose water is by far the most versatile beauty ingredient and an absolute favorite with me. It helps maintain the skin’s pH balance, treats acne, calms the skin and makes for an excellent skin toner. So every time you’re looking for a quick face-lift, rose water is your go to remedy, especially during this torrid summer. All you need to do is just soak some cotton in rose water and apply to your face. 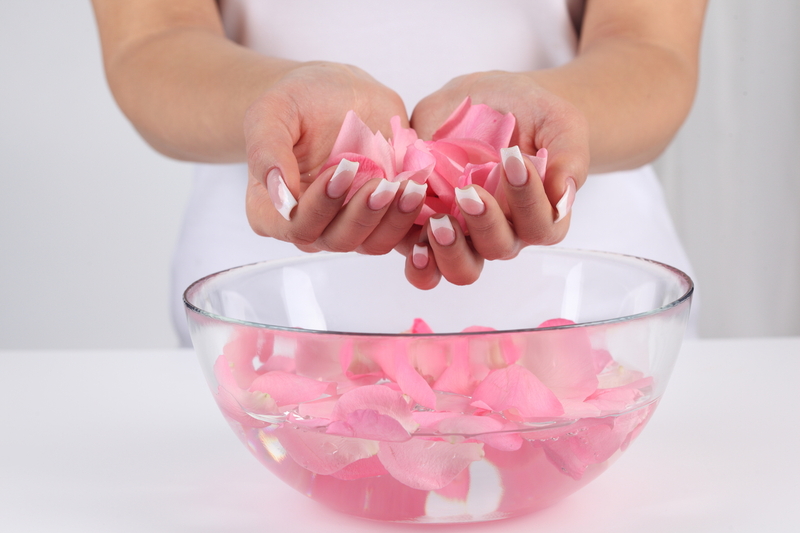 Rose water not only has a cooling effect, but also relieves your skin of itchiness and redness caused by sunburn.